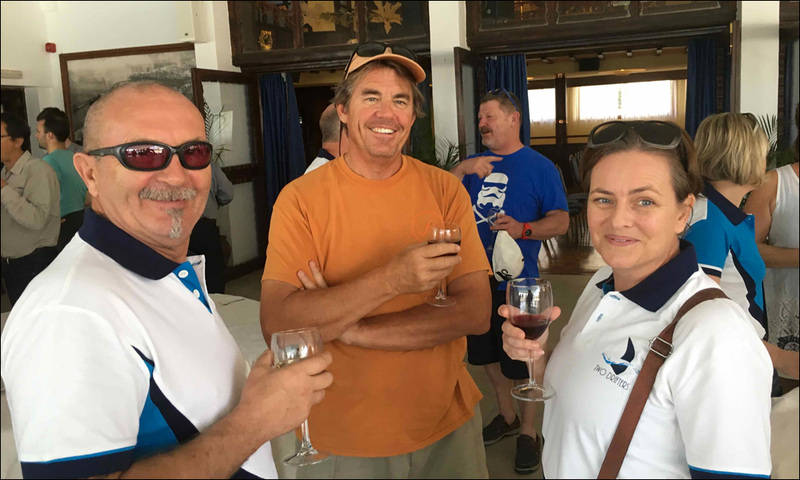 Fourteen boats in the Caribbean Odyssey left Santa Cruz de Tenerife this morning bound for Barbados. 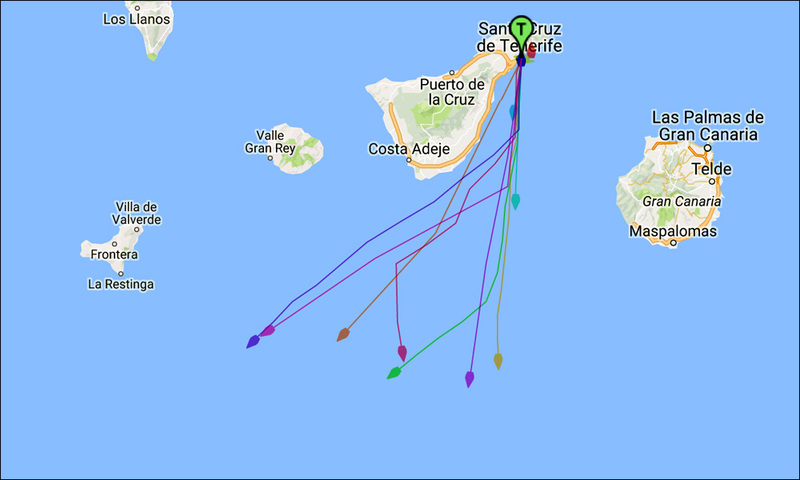 In order to take best advantage of the weather conditions, each boat could leave in their own time. 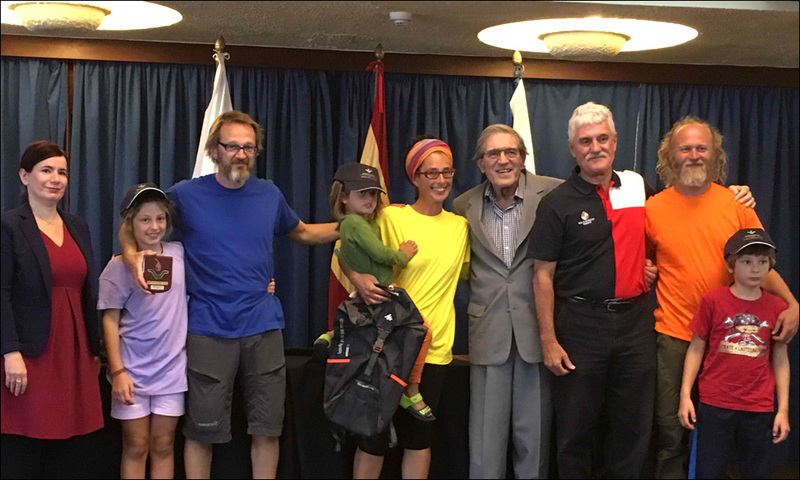 After two weeks of consistent southerly winds, the winds started backing today to SE and later to E, so that by nightfall the leading boats were clear of Tenerife. 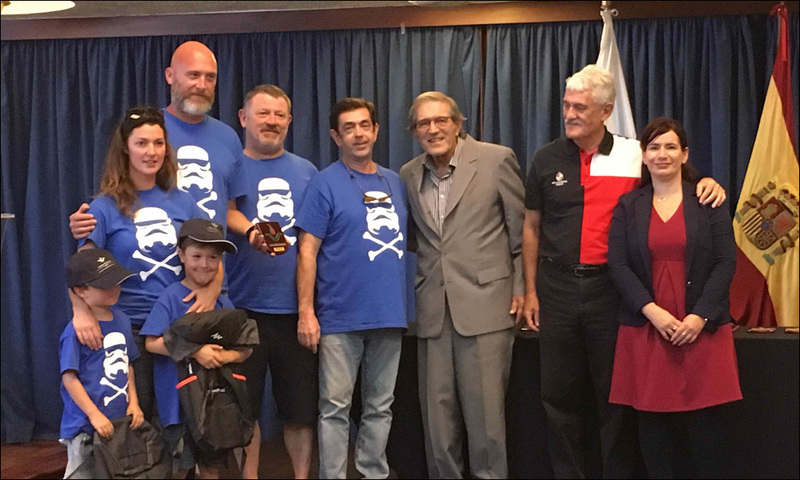 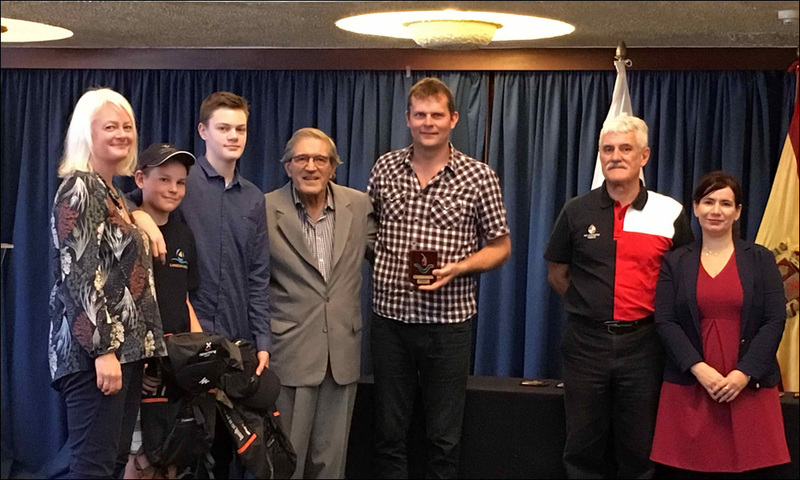 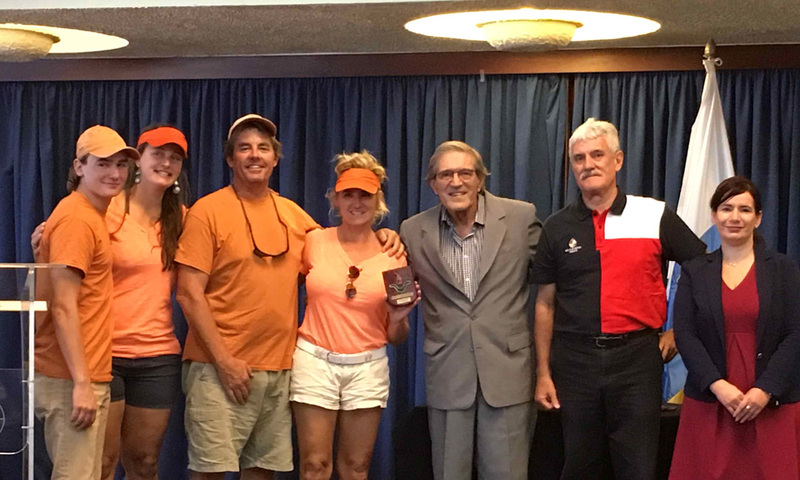 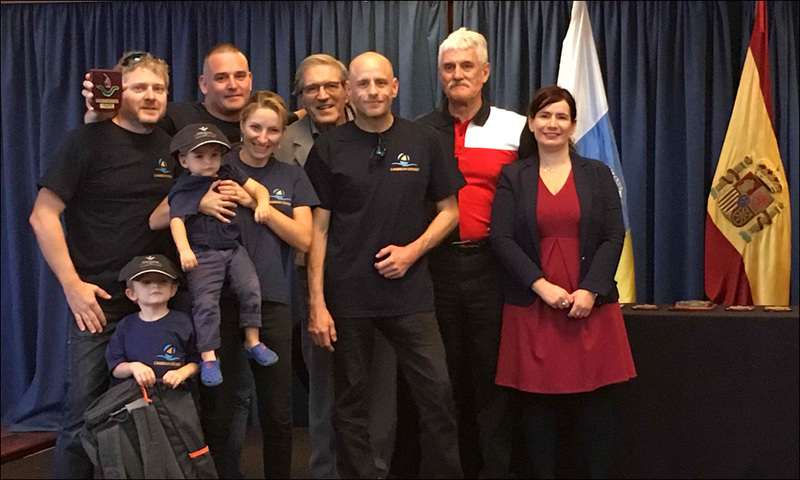 On the eve of their departure from Tenerife all participants were invited to the Royal Tenerife Yacht Club where each crew was presented by a souvenir plaque while each of the 13 children received a special present. 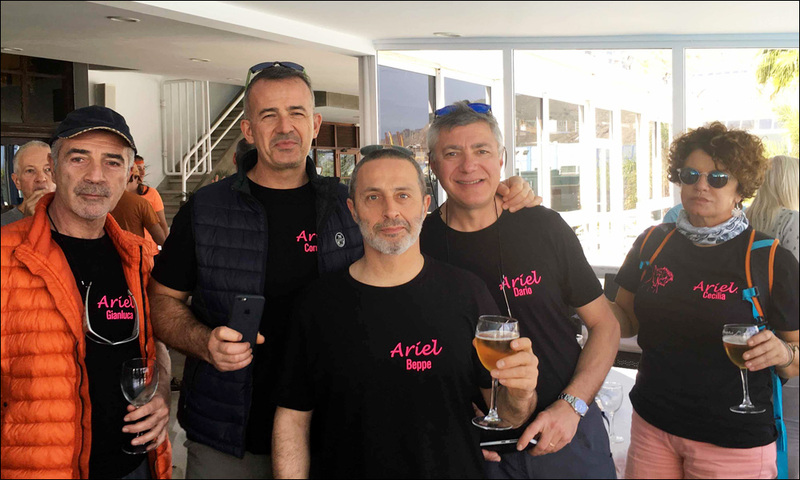 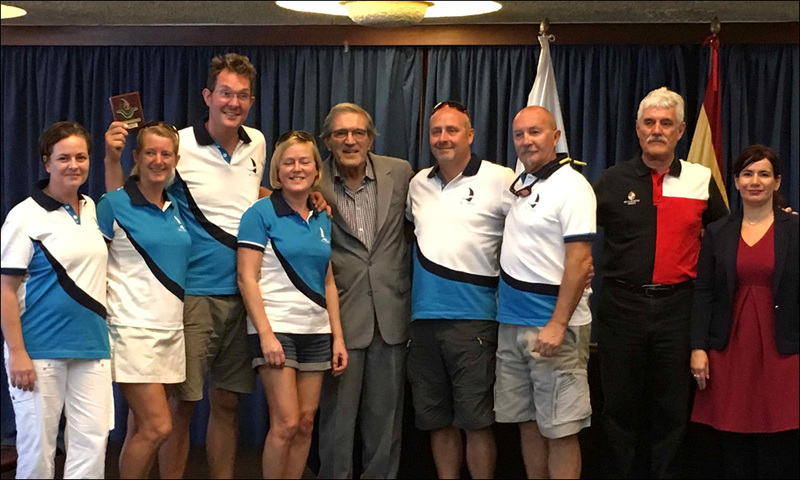 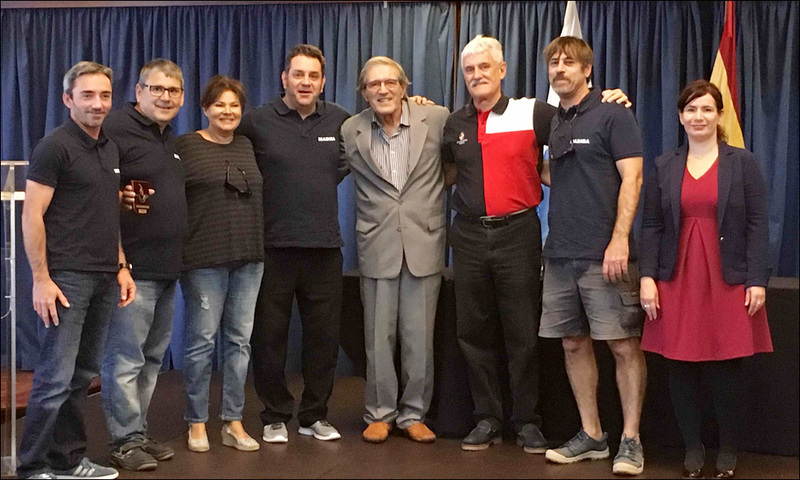 Crew of Edelweiss with José Miguel Conejo de La Roca President of Royal Tenerife Yacht Club and Nayra Hernandez of Tenerife Port Authority. 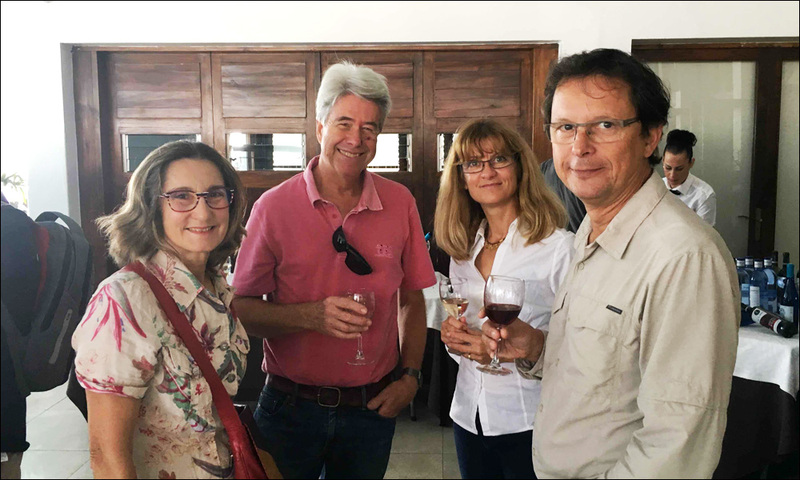 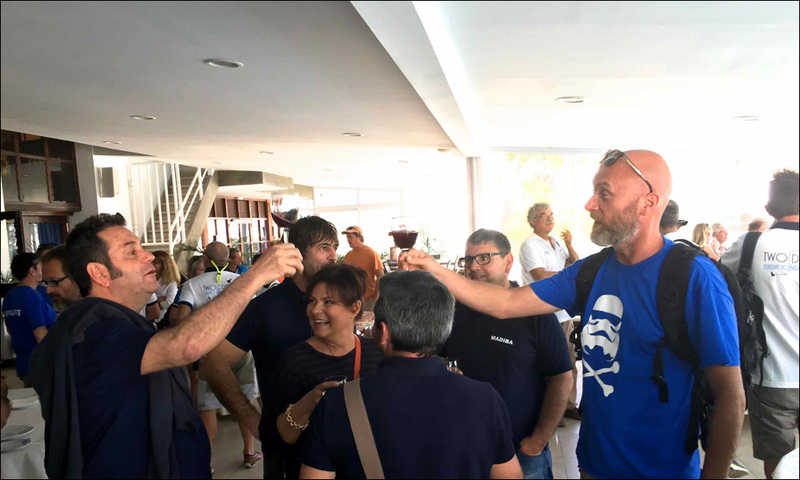 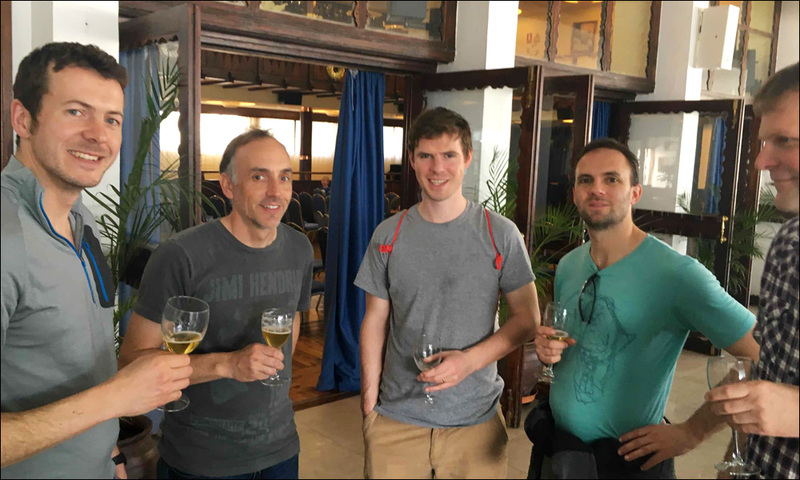 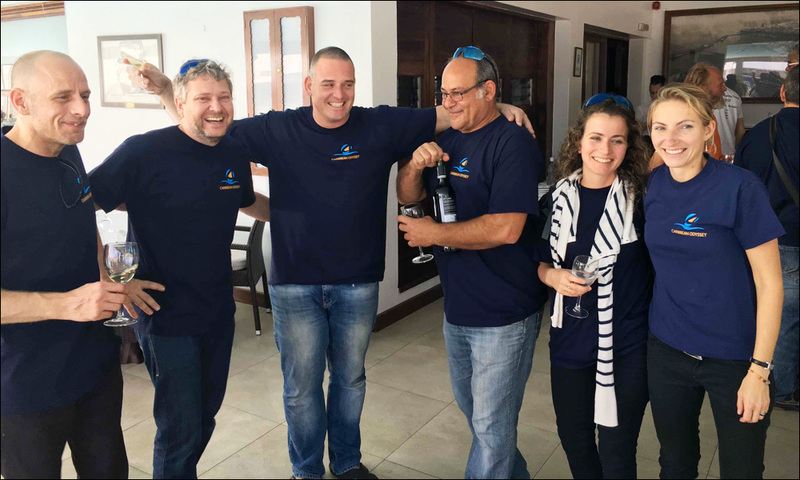 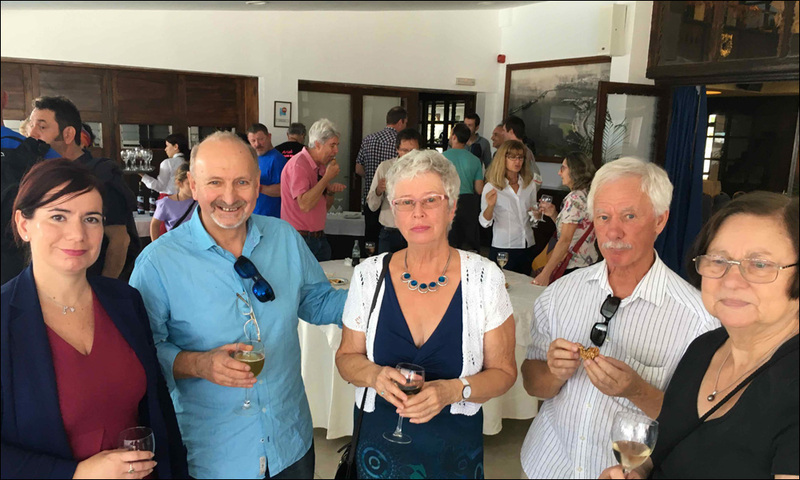 The presentation was followed by a farewell party during which participants in the Caribbean Odyssey had an opportunity to enjoy themselves and chat to their friends before the long passage to Barbados. 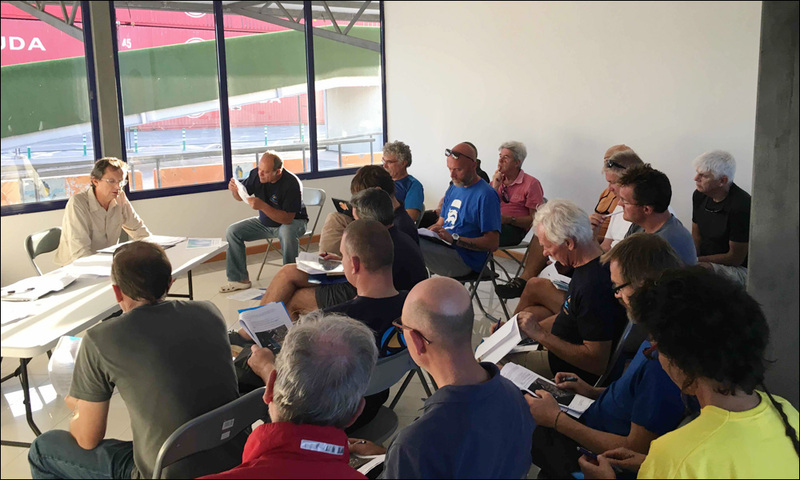 Back in the marina, the captains were briefed on the technical and practical aspects of the forthcoming transatlantic passage. 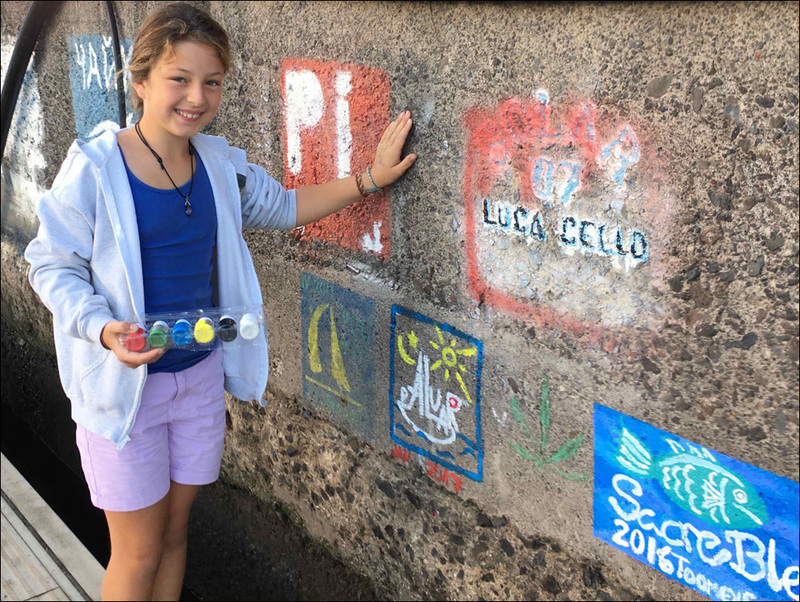 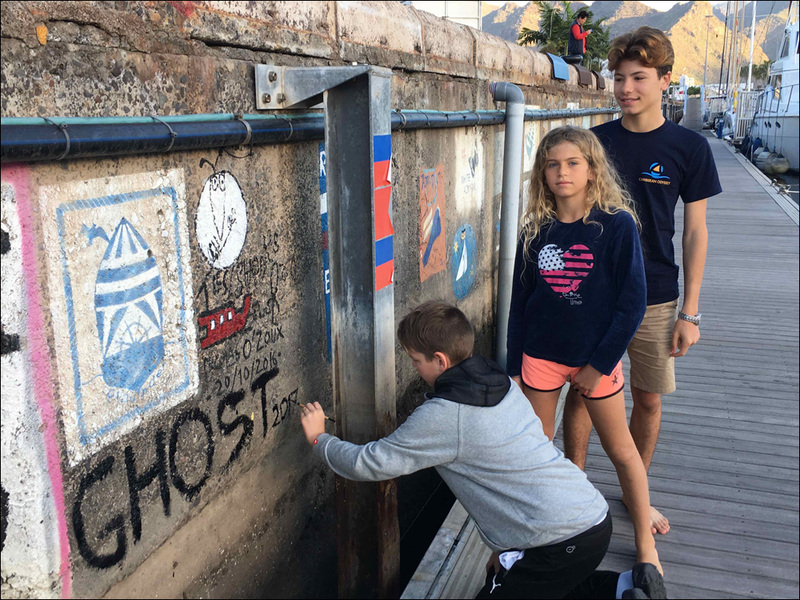 On the morning of the start the young crews of the Norwegian yacht Ghost and Swiss Paluar put the finishing touches to their signature paintings on the marina wall.